Whether you realize it or not, you are aspiring to become a yogi. The word yoga comes from the Sanskrit and literally means union (with the Supreme). We are all aspiring for union with the Divine. While we already are one with Source right now, always have been and always will be, as a human family we do not yet consciously realize our Divinity and our unity with Divine Source. Collectively speaking, separation still feels more real to us than oneness, however, we are rapidly awakening to this beautiful reality of our eternal oneness as the New Age unfolds before our very eyes. With the New rapidly unfolding, did you actually ever pause to ask yourself what’s new about the so-called New Age? 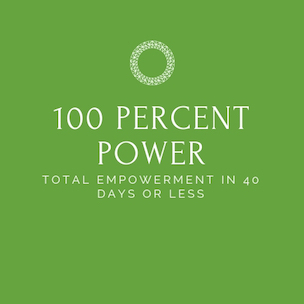 One thing that’s new about the New Age is our collective awakening to the insight that we can initiate our own growth and awakening through self-initiated effort. 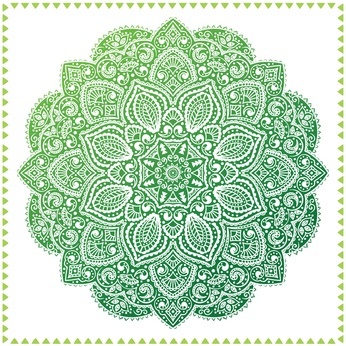 Said another way: We can take our life and our Spiritual growth into our own hands, we can purposefully create and design the life we have been given, and we can consciously participate in our evolution simply by launching the initiatives that will propel us forward on our Spiritual journey. The magic word is initiative. What is our evolutionary goal? For millions of years, the forces of evolution have literally forced us to grow by pushing us to open our hearts and expand our consciousness without us having had the faintest idea, in our brain awareness, of where we are going or what is pushing us on. However, with the dawning of the New Age it starts to dawn upon us that we can consciously co-operate with the forces of evolution – first, by understanding where the journey of evolution is taking us, and then secondly, by originating the initiatives that help us reach our evolutionary goal. So what is our evolutionary goal? Our current evolutionary goal is to evolve our consciousness from a place of being self-aware to a place called being Soul-aware. That’s the next major step ahead of our human family: to become Soul-conscious in our brain awareness. History, as we know it, is in truth but the story of the evolution of consciousness. The forces of evolution have brought us to this poignant moment in history where we stand on the verge of becoming conscious of self as eternal Souls. And now for us to take this giant step – and I say giant step because we have been working towards this moment in history for aeons, and waking up to the reality that we are not mortal bodies but eternal Souls is indeed a pioneering feat – so, for us to take this giant step of becoming Soul conscious, we are now called to consciously take the necessary initiatives that will help us cross the finish line of human evolution which, at the same time, marks the entry into a higher reality and more fulfilling life. Again, the magic word is initiative. In 12 Daily Initiatives of the Aspiring Yogi we celebrate the magic word. 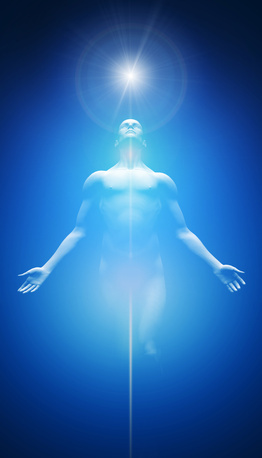 We launch 12 initiatives to expand our consciousness, transform our bodies and advance towards our evolutionary goal. The word initiative is one of the most important words on the Spiritual path. A word, by intuitive definition, is a bridge to higher meaning. It is a gateway to expanded consciousness. In intuitive philosophy there is an idea called initiations. An initiation is an expansion of consciousness. To become Soul conscious in our brain awareness, we have to expand our consciousness – and we expand our consciousness by taking specific initiatives. Soul-inspired initiative is the key that unlocks the door to the expansion of our consciousness. Without taking Soul-inspired initiatives we cannot take initiations and expand our consciousness. And if we do not take initiations and expand our consciousness, we cannot become Soul conscious in our brain awareness. And if we do not become Soul conscious in our brain awareness, we cannot take the next step on the ladder of evolution. Lack of Soul-inspired initiative keeps us stuck in the wheel of rebirth. Soul-inspired initiative is the way out of the wheel. An initiative marks a new beginning. The word initiation comes from the Latin initiare which means to begin. An initiation is a new beginning. An initiative marks a new beginning. 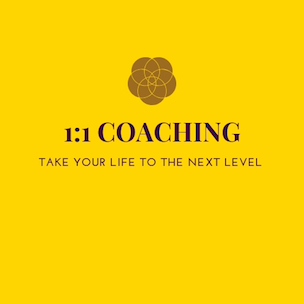 So: If you are ready to take the initiative to expand your consciousness and initiate a new beginning in your life, please read on because you will LOVE what this consciousness expanding coaching service is all about. 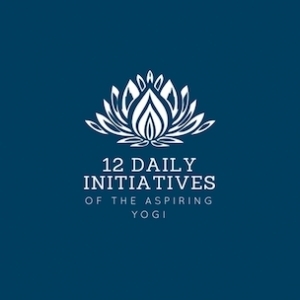 12 Daily Initiatives of the Aspiring Yogi deals with 12 new beginnings to take your life to the next level. 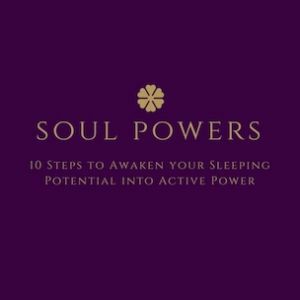 This comprehensive training reveals 12 consciousness-expanding initiatives to advance towards the next step on the ladder of evolution: Soul consciousness in your brain awareness. 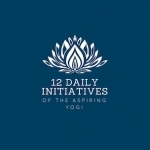 In 12 Daily Initiatives of the Aspiring Yogi, we will look at 12 carefully selected initiatives: three initiatives that focus more around the physical/etheric body, three initiatives that revolve more around the emotional field and desire nature, three initiatives that address our mind and three initiatives that activate the Soul or Spiritual level. These 12 initiatives, in all their simplicity and profundity, form the basis of the Spiritual path and it is upon their foundation that we build fulfilling relationships, realize inner peace, create a happy life and reach our evolutionary goal. Testimonial: You couldn't find a better course if you seriously wanted to grow on your Spiritual path! For each of the 12 initiatives, give yourself 7 days to start integrating them into your daily rhythm. So, the first seven days you work on initiative one, the next seven days you work on initiative two while still continuing with initiative one also. In the third week, you work on making initiative three into a natural aspect of your daily rhythm, while still also continuing with initiatives one and two, and so forth. By the end of the twelfth week, you will have begun to establish 12 new beginnings and rhythms that are supportive of your Spiritual growth and current evolutionary goal of Soul consciousness. 12 (+1) high quality videos explaining the 12 (+1) initiatives, totaling about 6 hours of playing time. I spent more than 6 long months putting together this training for you – and it can all be yours in 6 short hours. 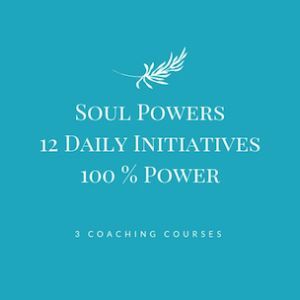 12 (+1) high quality audio files, each consisting of 12 key phrases taken from the 12 (+1) lessons, totaling 156 key phrases for you to ponder and meditate on. For us to realize divine ideas, we have to take the time to “think them through.” We have to meditate on them and contemplate them to realize them. Otherwise they remain as theories on the mental plane. So each week you will be asked to ponder on 12 key phrases, provided in audio format, which shall help you establish the 12 (+1) initiatives. A written edition of the 156 key phrases for your meditation and introspection. An action guide to chart and implement the exercises. Again, history, as we know it, is the story of the evolution of consciousness. The 21st century shall go down in history as the Age of Soul. Help usher in the Age of the Soul by making a personal commitment to become Soul conscious in your brain awareness. These 12 Daily Initiatives of the Aspiring Yogi shall be a small but essential step along the way.